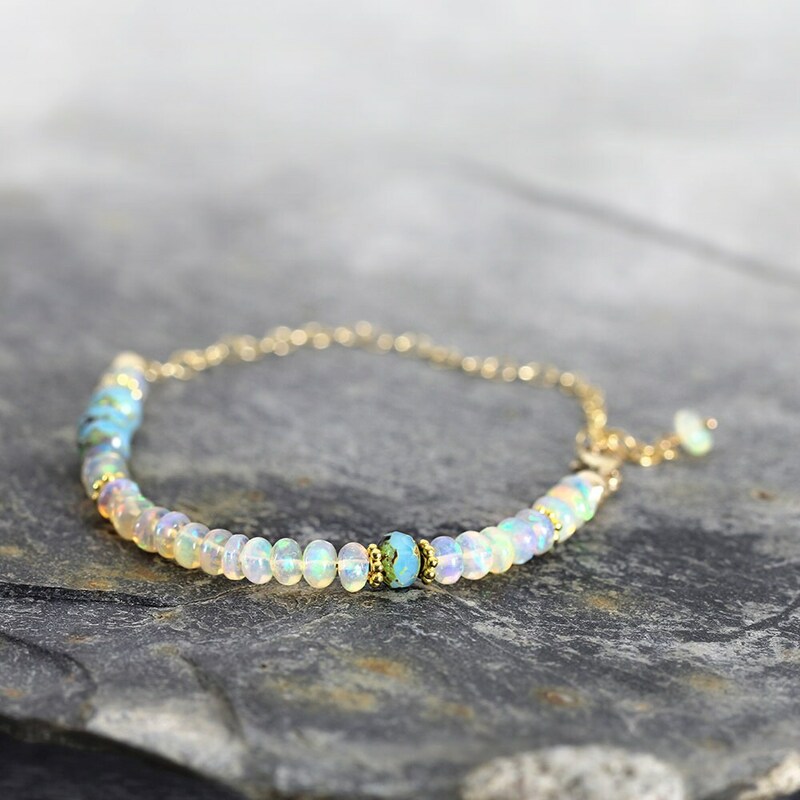 This handmade Ethiopian opal bracelet simply glows and will bring your wrist to life with it's fabulous opalescence. 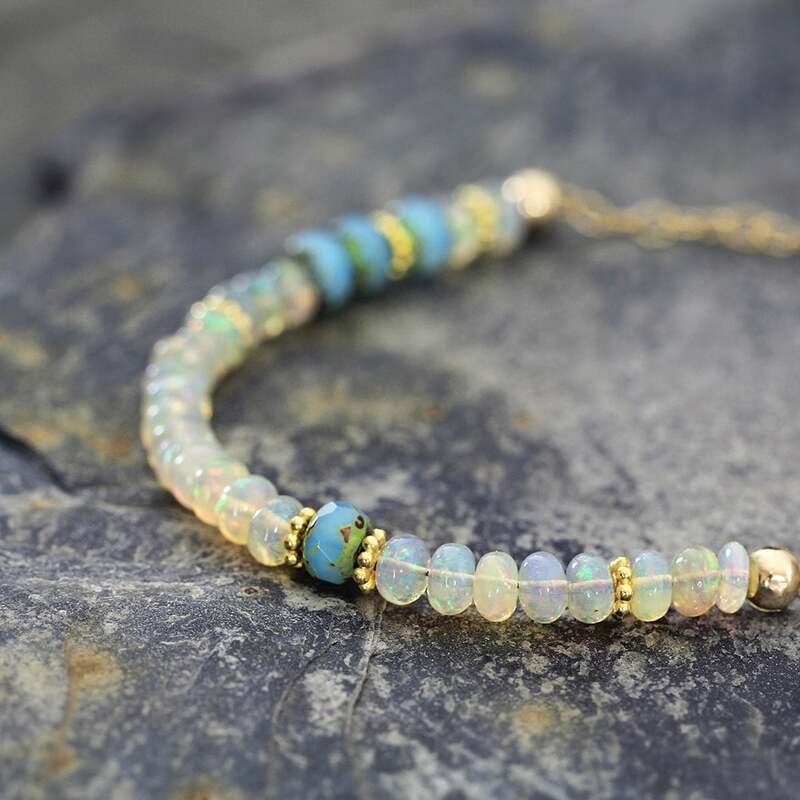 Featuring exquisite Ethiopian 'Welo' opals set alongside gorgeous aqua glass beads in a modern, asymmetric design. 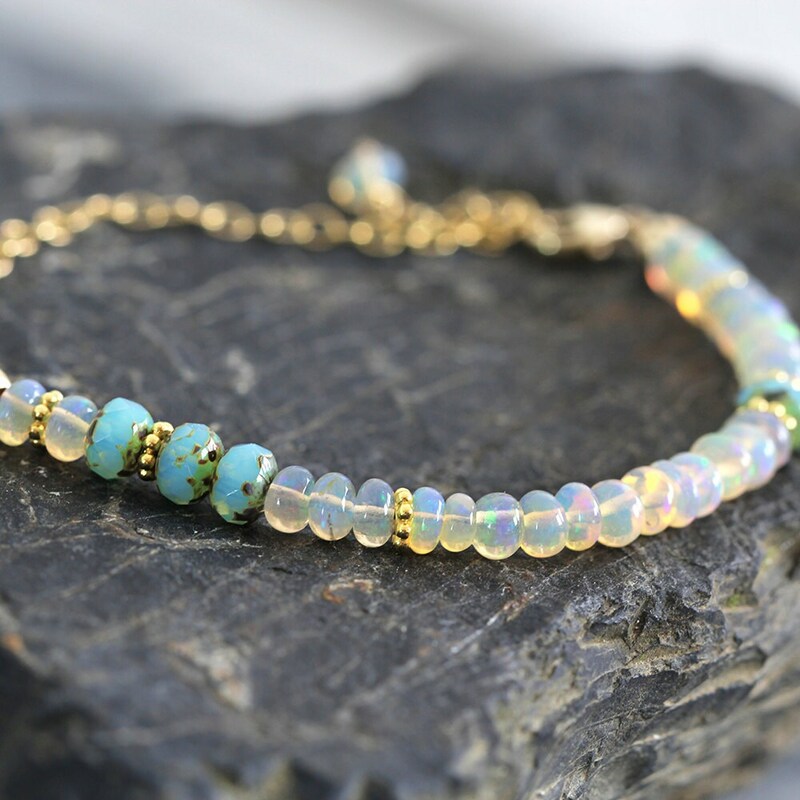 These opals are the finest quality, flawless, AAA with superb inner fire - they catch the light with every movement and the rainbow of colours is quite mesmerizing. These amazing opals are much larger and plumper than most other opals you'll find. Adjustable in length, it closes with a lobster clasp. 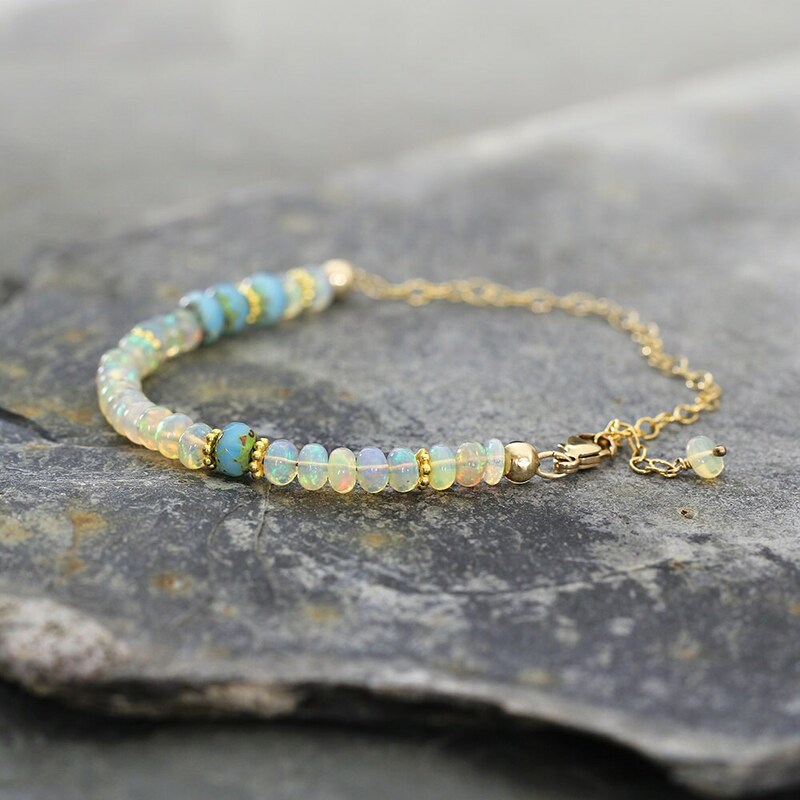 Finished with an opal charm that dangles beautifully on the inside of the wrist (a lovely little detail !). It is beautiful worn alone or stacked. 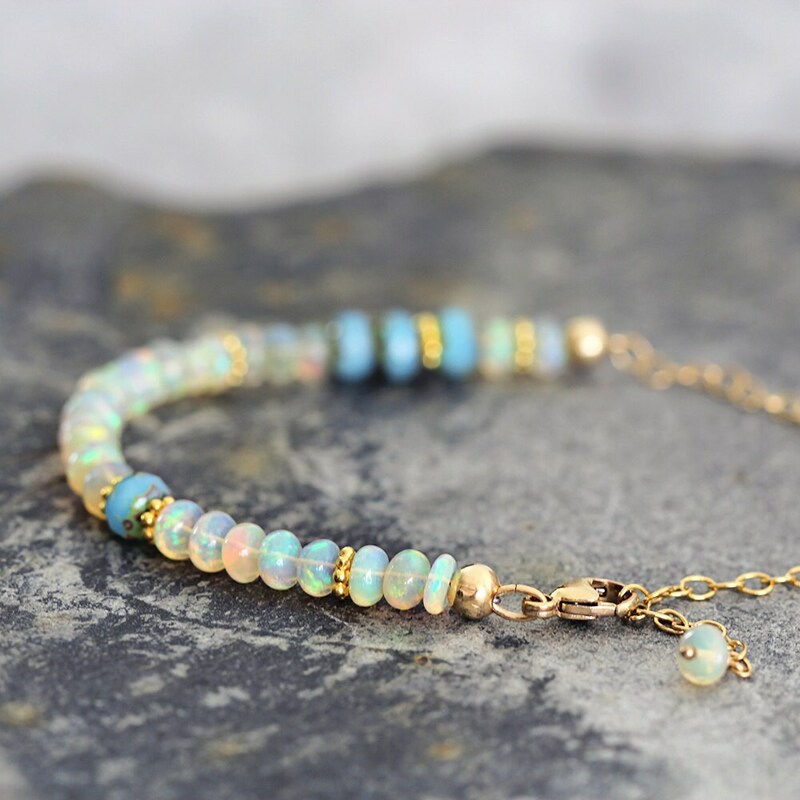 This October birthstone bracelet also makes a gorgeous gift for a loved one - for mum, sister, girlfriend, wife or a friend - for any occasion such as a birthday, a graduation, an anniversary or Valentines Day gift. * Gemstone beads measure approx 5mm. * Beaded section measures approx 3.5 / 4 inches. Fast delivery and product arrived as described. A very unique item that my wife loved. Thanks!